I just love this practical things. 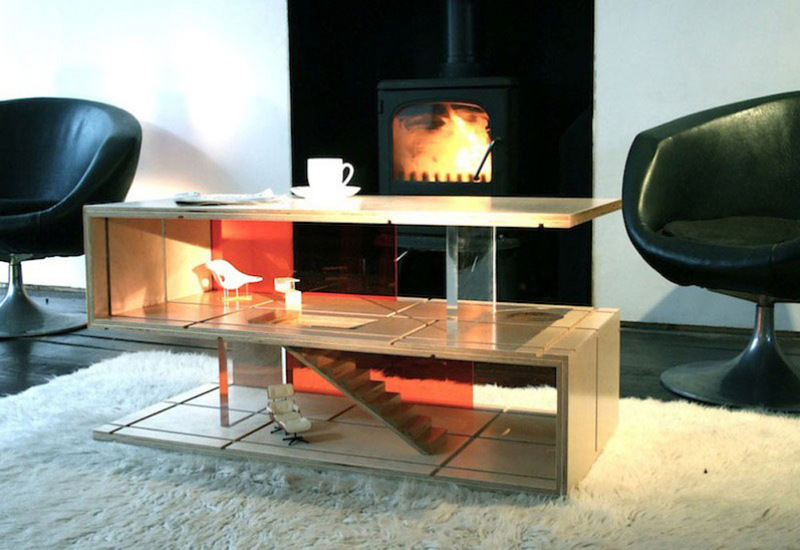 Doll house for your daughter and modern coffee table for you, but both in one. Designer Amy Whitworth, 39 came to idea to design multipurpose piece of furniture which allows adults and children to enjoy the same product but in different ways. And now, all of us can enjoy in Qubis House. 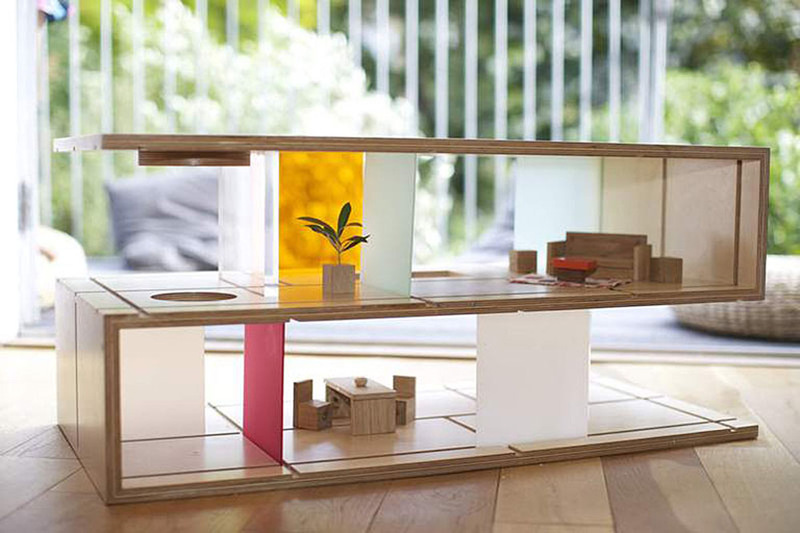 It is actually a coffee table that transforms into a dolls house with the simple addition of sliding panels made from wood and perspex, enabling the ‘designer’ to create different room layouts. 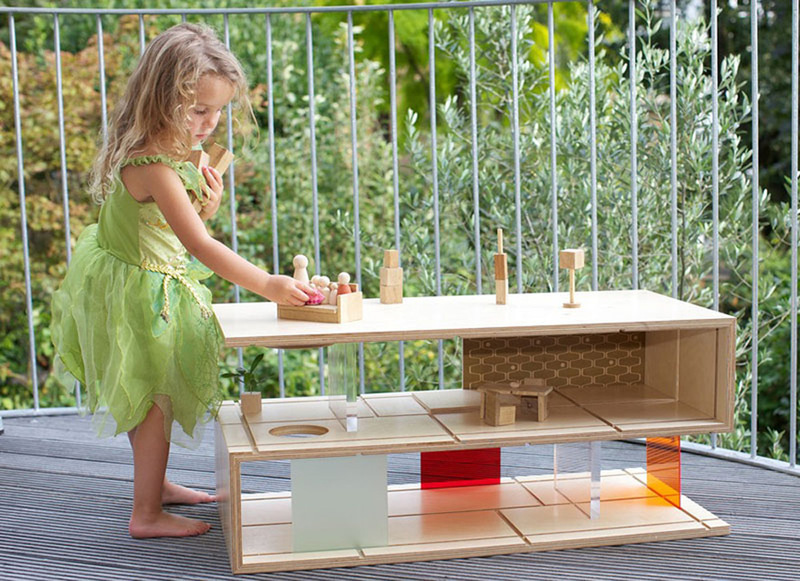 The table is made in solid birch ply wood and has clean modern lines making it a beautiful piece of living room furniture as well as a centre for children to play. 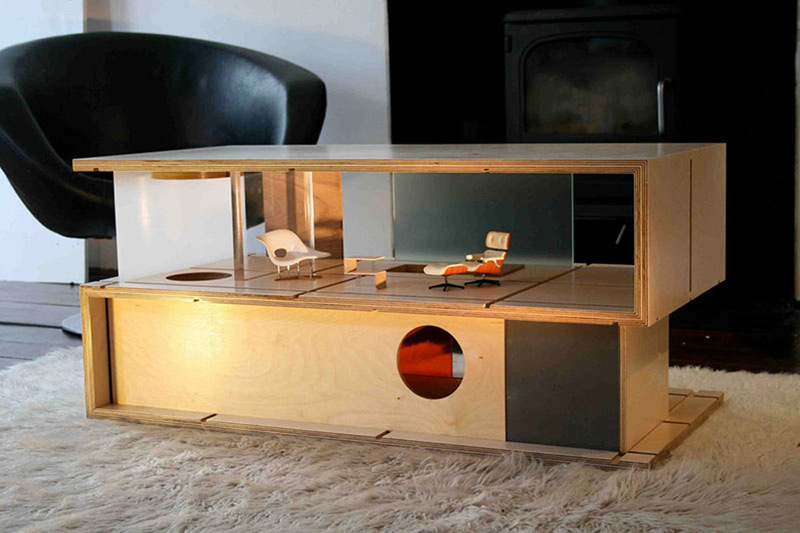 The table can live permanently in the living room (shared space) so the children can play with it whenever they want. 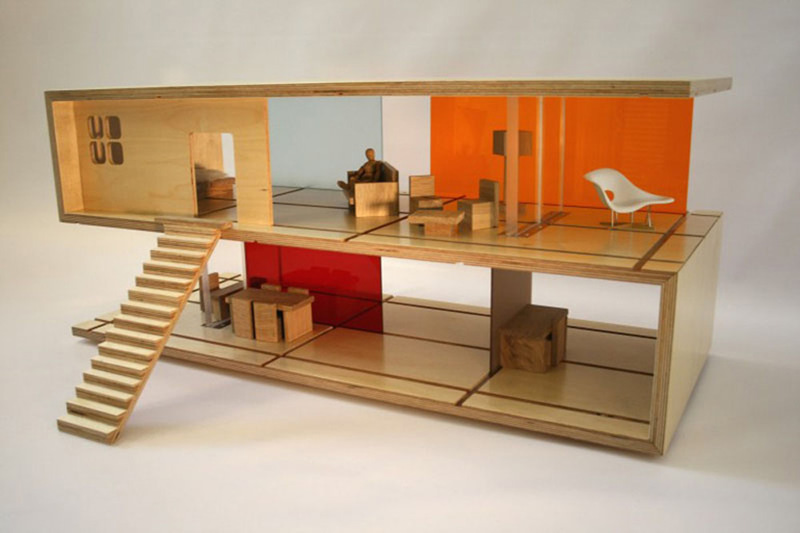 In 2002, Whitworth entered her project into the design competition Boost at London’s Southbank Centre and won. That was the moment Amy Whitworth Design was born. 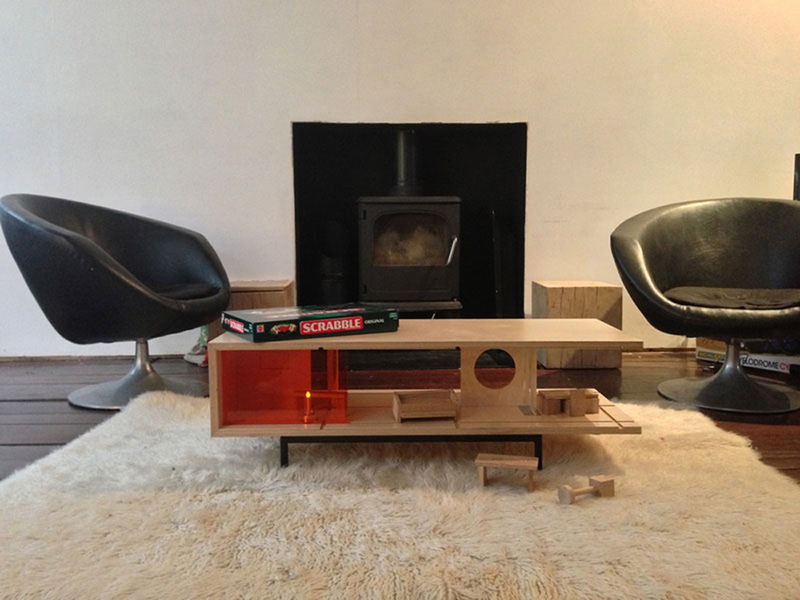 The Qubis range now includes side tables, a storage box and other coffee tables. ‘I hope to see the Qubis range grow in the future,’ she says. ‘But I also want to develop my style and create more bespoke pieces. I love a challenge,’ she adds. 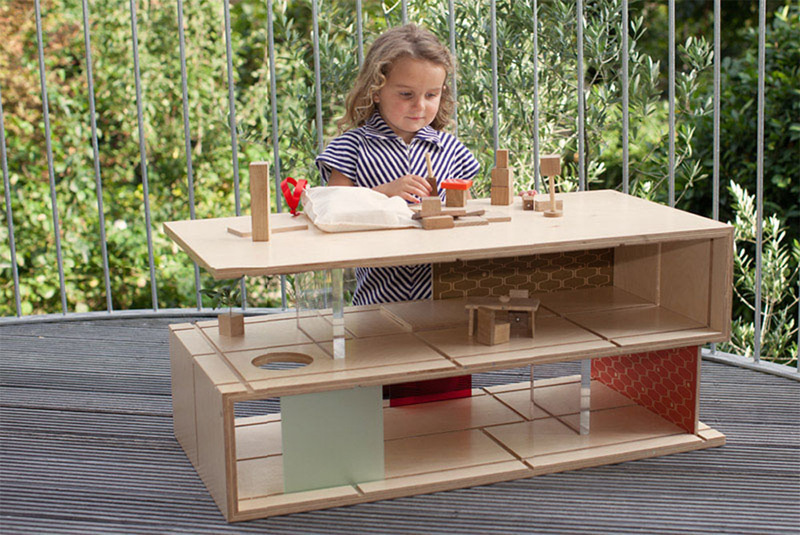 She sources locally grown sustainable oak for her toy furniture, which is made up of handcrafted building blocks with embedded magnets that transform into different pieces such as chairs, tables or beds with a click. To tie in with the modern living theme, the grooves of the sliding walls also hold an iPad, which means the product can also be used for in-house entertainment. ‘I love the aesthetics of modern art and architecture and the playfulness of children’s toys, and wanted something that was tactile and appealed to as many senses as possible,’ Whitworth explains.